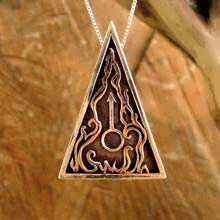 About a year ago, I have created the personalized Cosmic Sigil Pendant. 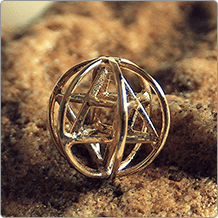 A personalized astrological talisman customized to the wearer’s map and crafted at a selected time to enhance the special qualities for the wearer. 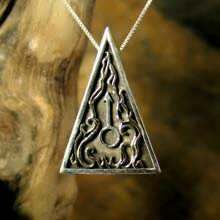 Very recently I came up with another idea for a similar talisman; instead of using the four elements and all the planets, the new pendant will include the Sun, Moon and the dominant planet for the wearer. 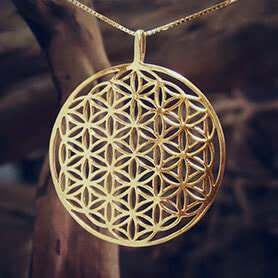 The size of the pendant 1.5 inch diameter (3.9 cm). 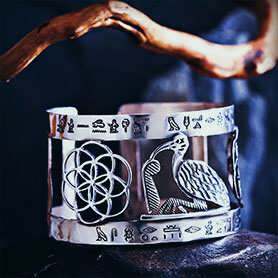 The idea is that the wearer will send us the day and hour of birth and our astrologer Michael Ofek will create a map for him. 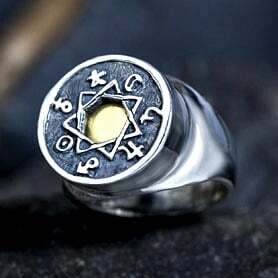 After that Michael will search for the right cosmic time in which the Sun, Moon and the dominant planet are in the best place to ideally benefit the wearer. 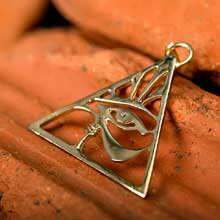 In order to understand the unique meaning of this jewel, one must first understand what is a Talisman. 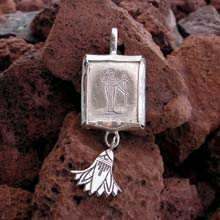 The word Talisman originates from the greek word ‘telein’ which means ‘to complete.’ A Talisman comes to compliment a person by strengthening his weak spots. 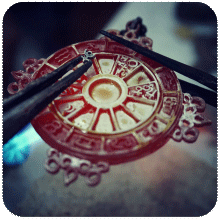 In ancient time the creators of Talismans were priests, magicians or the knowledge authorities in the communities. 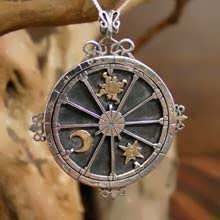 They used astrology to check for the weak spots and to determine the right time to create the Talisman. When ordering the Talisman you have to send us your hour and date of birth (preferably place of birth too). Our astrologer, Michael Ofek will prepare your birth chart and analyze it to find the right time in which the planet state is optimal for you. 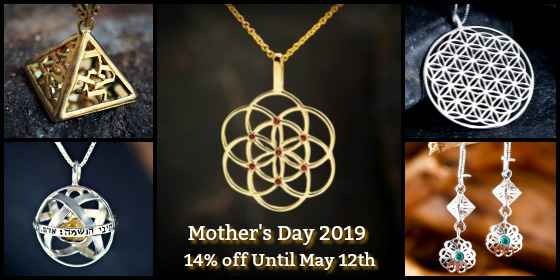 The pendant will be made at that particular selected time. 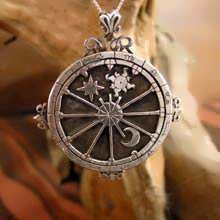 The pendant will include your sign, the Sun, the Moon and one selected planet all at the optimal place on map. At September 3rd between 15:50 to 16:47 we had a new opportunity to make the Mars Talisman ( sold out few months ago). A week ago, Mars entered It's own sign which is Scorpio. For Mars this is a big change. After long period in Libra (Mars in Libra is considered weak), Mars gains back It's strength reminding us of the intensive powers and the initiation for action derived by inner passion. Mars in Scorpio can move us to do things and to act in the right way. Mars is sheer energy, it is the burning fire of action and desire, bursting and thrusting. It is associated with war, strife, and conflict. This is because of its powerful explosive burning and cutting energy, which in its most crude manner manifests as violence and aggression. Everyone has Mars in their chart, it symbolizes the way we exert our assertive energy and conquer our own space in the battle for survival ( Mars is connected to the defensive survival instinct), if Mars is strong in a chart, the person will have a warrior spirit having a need to execute his will and satisfying his hunger for expression of physical energy. 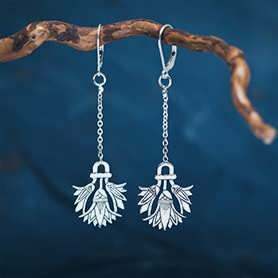 We donated another $1000 to Eco Jewelry campaign to plant tree project. Thank you! Updated regards newsletter giveaway winners are published in newsletter page. 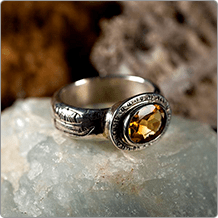 We recently added a browse Jewelry by Gemstone Library.